My friend Everly Pleasant (don’t you love her pen name?!) 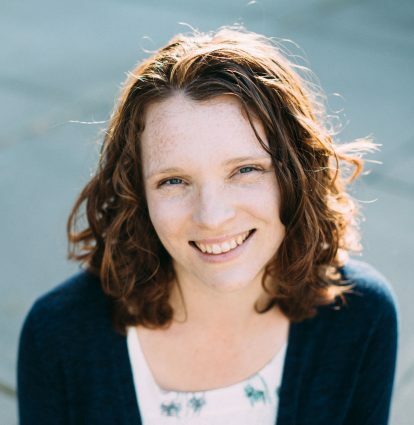 just got a new self-hosted WordPress blog. Her design complete, old Blogger posts imported, she wrote a post on Blogger announcing her new domain name and blog. And she thought she was all set. I explained that if she left the Blogspot blog as it was, she’d end up not only with links and potential comments going two places, but duplicate content issues that could affect Google ranking. Plus, she was going to potentially lose readers by not automatically subscribing them to her new blog. At that point, I got to take over, and fine-tune her settings so that all the details were taken care of (I do this as a side job, and I just eat up these kind of details!). But I asked her permission to take screenshots to share with you. 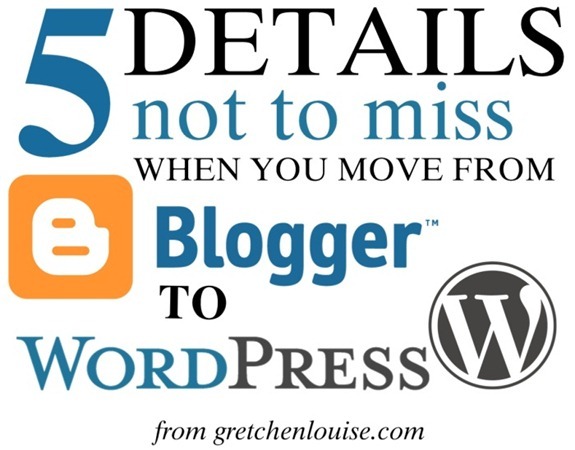 And so here we are: the 5 details you don’t want to overlook when you move from Blogger to WordPress. 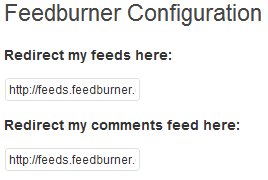 If you were already using FeedBurner before you moved, this will practically take care of itself. If you weren’t, just sign up for FeedBurner and check each of these items. 3A. If you’re using Hosted WordPress, install the FD FeedBurner plugin or use your themes’ feed redirect settings to make sure any requests for yoursite.com/feed/ are redirected to FeedBurner for a complete feed count. 3B. If you’re using WordPress.com, you can’t redirect your feed to FeedBurner, so the count won’t be accurate—but at least you won’t lose your old readers. Now any readers you had via RSS feeds are being redirected, but anyone who had your old blogspot address bookmarked will still be visiting the same place each time. If you are using Hosted WordPress, install the Blogger to WordPress Redirection plugin and follow the directions. If you’re using WordPress.com (or the plugin code doesn’t work for you), edit the following code to reflect your new blog address and paste it in the classic template of your Blogger blog. To find the classic template in Blogger, click on Templates, then scroll all the way down until you see “Revert to classic templates”. Click “Revert to classic template”, replace the existing code with the code above (edited to include your new site address), and click “Save Template.” Test your old blogspot address and a few post links to make sure they’re redirecting properly. You’re still not quite done! 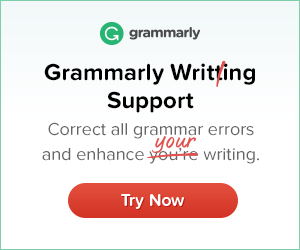 Anywhere your Blogger profile appears (i.e. comments on other Blogger blogs), your old blog address is still listed. Now when you visit your Blogger profile, it will be a direct link to your new blog that’s displayed. Technically, you’re done. But ideally, you’d also change all the internal links within your posts (where you linked to your other posts) from your old Blogspot address to your new site address. If you’re using Hosted WordPress, you can use a plugin like Search Regex to search for every instance of your old address and automatically replace it with your new blog address. If you’re using WordPress.com, it means searching your site for your blogspot address and editing every single post. Obviously, since the links are redirecting, this is not entirely necessary—just best for search engine optimization (SEO). In addition to updating internal links, now is a good time to import all your images from your Blogspot blog into your WordPress media library. If you’re using Hosted WordPress, two plugins that can help with that process are Import External Images and Media Tools. Latest versions of the Blogger Importer Plugin import the images into your Media Library, as well. 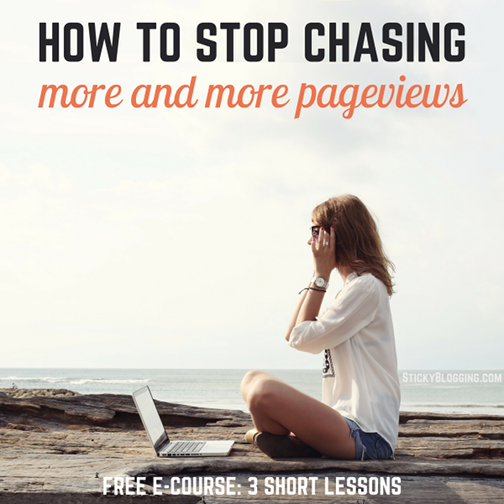 Don’t delete your Blogger blog. It’s likely linked to your Picasa albums that may still hold pictures which are on your new blog. You don’t want to lose those. Even if you have imported all your images to your new WordPress site, your Blogspot address is still redirecting old visitors to your new site (thanks to step 2): so don’t delete it! A debt of gratitude is in order for this Gretchen! I just moved my better half’s blog to WordPress and this filled in the holes of what I had not done for sure! That was incredibly helpful! I never would have figured out how to re-direct or how to update my Google profile without you. Thanks!! First of all, thanks for posting this. I’m having a problem and was wondering if you could help. I can’t get Step 3, step 3 to “Save”. It gives me the error message (Error 32) that you say it will but never saves. I’m inputting “www.journeysofthezoo.com” in the Third party domain settings field. Ideas? Sarah, it’s been awhile since I’ve tried that step. I’m guessing you may have to follow Google’s instructions for verifying your domain with their server (adding some TXT records to your domain settings), and try again. I am guessing that unless you can create a redirect or replicate the URL exactly, the Facebook comments won’t show up. It depends on what plugin or code you used to install the Facebook comments, but that’s a downfall of that comment system. I’m sorry I can’t be of more help! Thanks for this Gretchen! I just migrated my wife’s blog to WordPress and this filled in the gaps of what I had not done big time! Thank you so much! I would have NEVER thought of #3! Thanks! I am going to be doing this in the next month or so. Once life settles down a bit I will come back to this.